As you should know by now, Square Enix's Play Arts studio have the rights to make action figures for more than just Square Enix properties. Which is why the cool toys you're about to see come from all sorts of publishers, franchises and games. 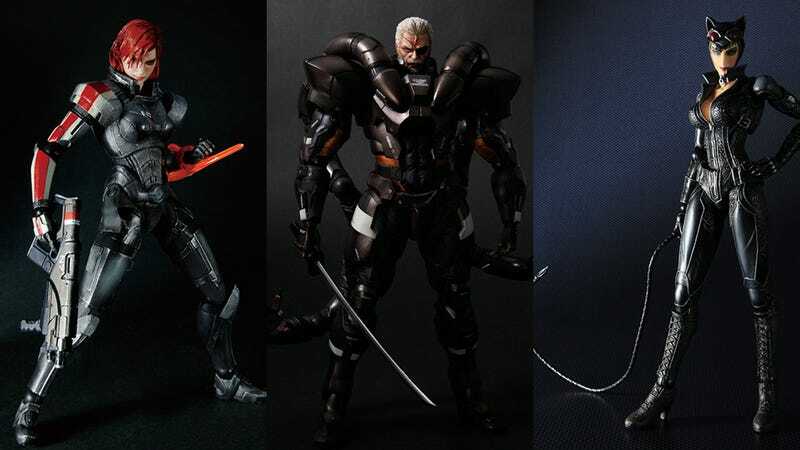 The figures in the gallery below constitute the upcoming slate for Play Arts, and include pieces from series like Mass Effect, Metal Gear, Hitman, Devil May Cry and Batman. Release and pricing information is below. DEVIL MAY CRY: November, $70 each.